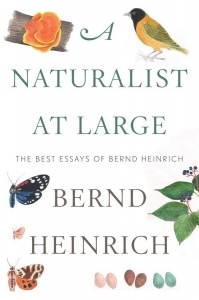 In essays that span several decades, Heinrich finds himself at home in his beloved camp in Maine, where he plays host to annoying visitors from Europe (the cluster flies) and more helpful guests from Asia (ladybugs); and as far away as Botswana, where he unravels the far-reaching ecological consequences of elephants’ bruising treatment of mopane trees. Heinrich turns to his great love, the extraordinary behaviors of ravens, some of them close companions for years. Finally, he asks “Where does a biologist find hope?” while delivering an answer that informs and inspires. From one of the finest scientist/writers of our time comes an engaging record of a life spent in close observation of the natural world, one that has yielded “marvelous, mind-altering” (Los Angeles Times) insight and discoveries.